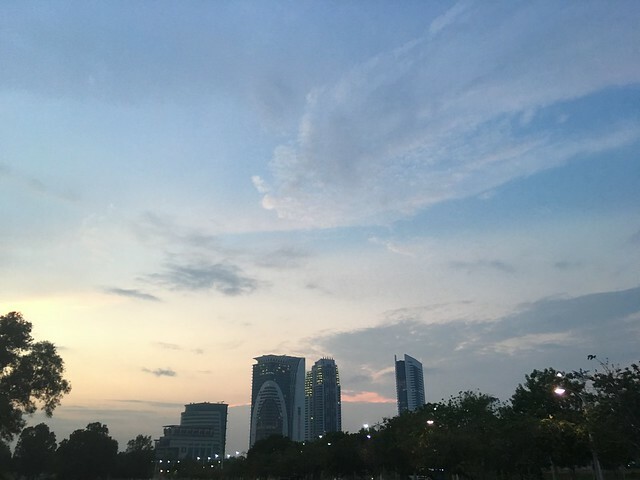 It was an hour drive from my house to Putrajaya, I woke up at 6 a.m. Pumped to celebrate a new merdeka as this marked a historical significance for the change of government after 61 years. 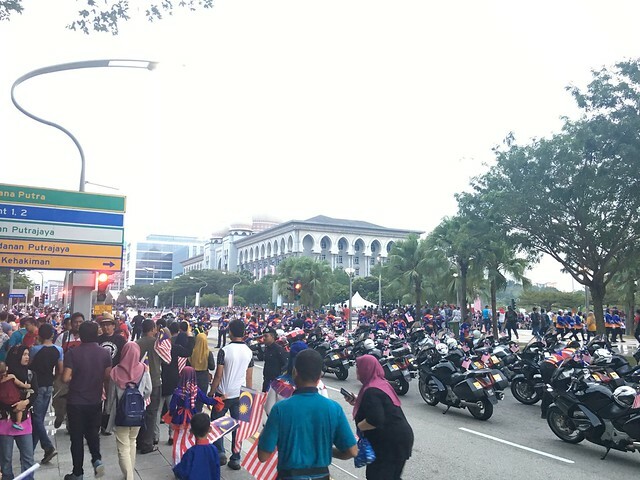 The first view that I got after parking my car at the far end of the event, it was 7 but already thronged with people- Malaysians. It was already a people mountain people sea situation. 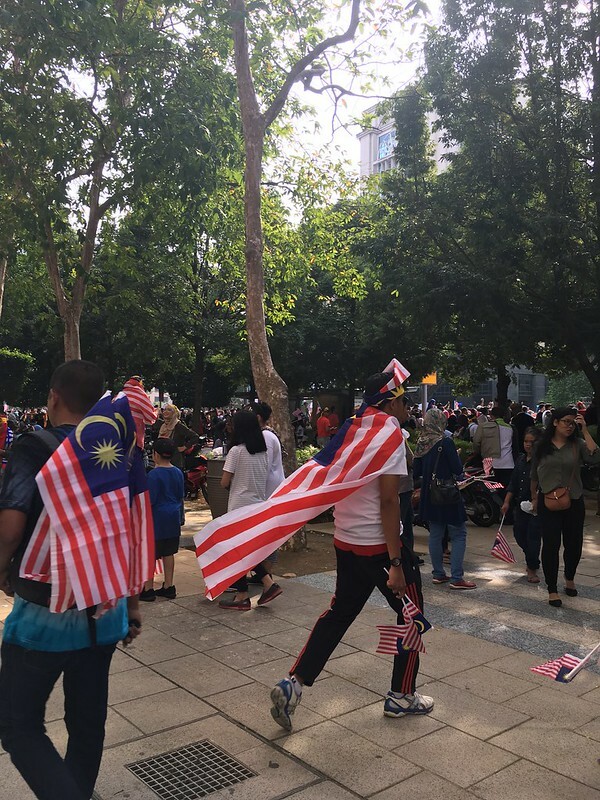 I got a ‘Jalur Gemilang’ flag from a volunteer there, straightened it up as I walked down the pathway to witness the celebration. 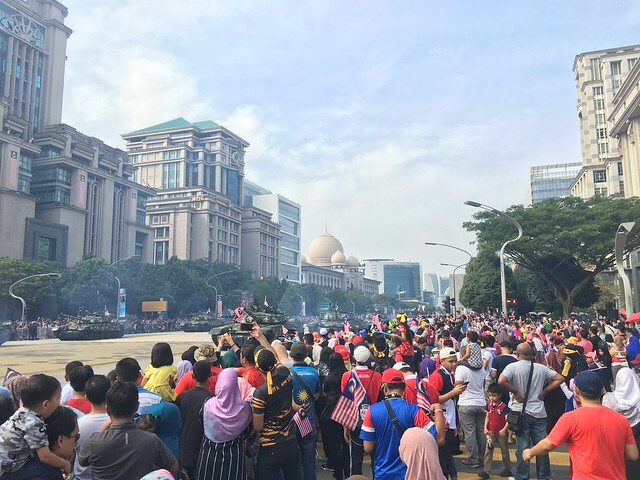 As time passed, more people started to gush into Putrajaya, this was the most people attending this sort of event I had ever seen, and the ‘feel’ was prominent. 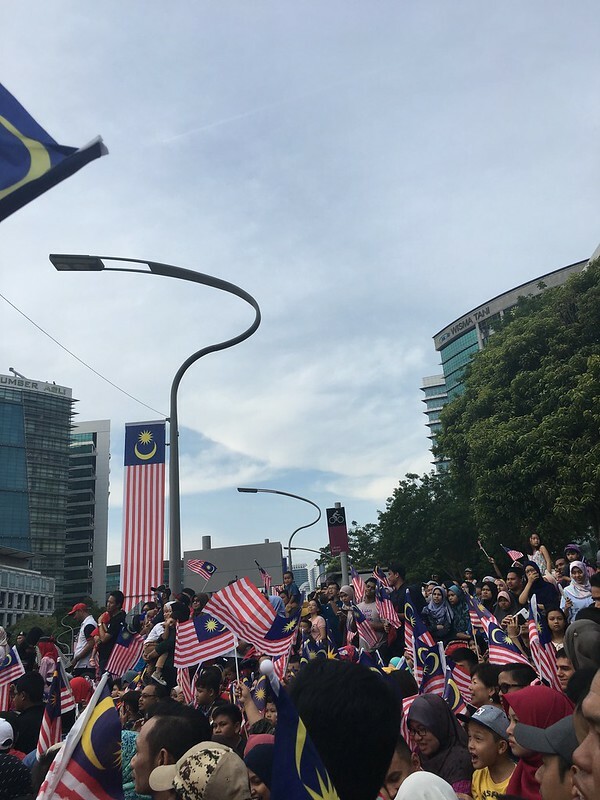 As I was strolling around, not looking for any places as a viewing spot, the celebration was starting. I could not look for any place to stand at the front where all the goodies were. 5 years ago, I attended the celebration similar to this, I had ample space to stand and look at the happenings. 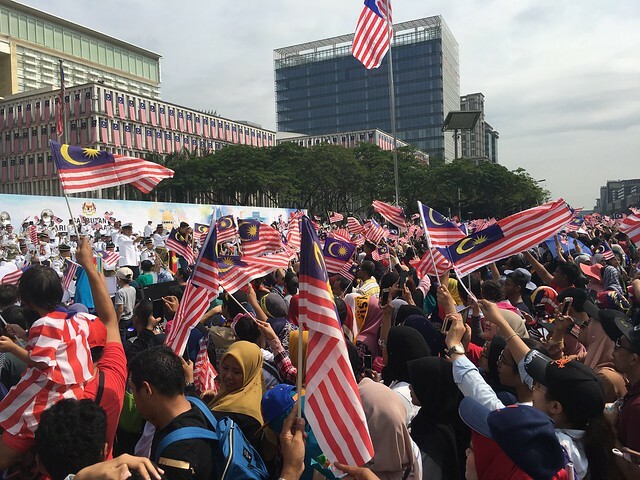 But, this year was particularly different because of the throng of Malaysians that came to celebrate this new ‘merdeka’. Bang! And the celebration started. We had to stand and welcome the Agung, our seventh Prime Minister, and our vice Prime Minister. 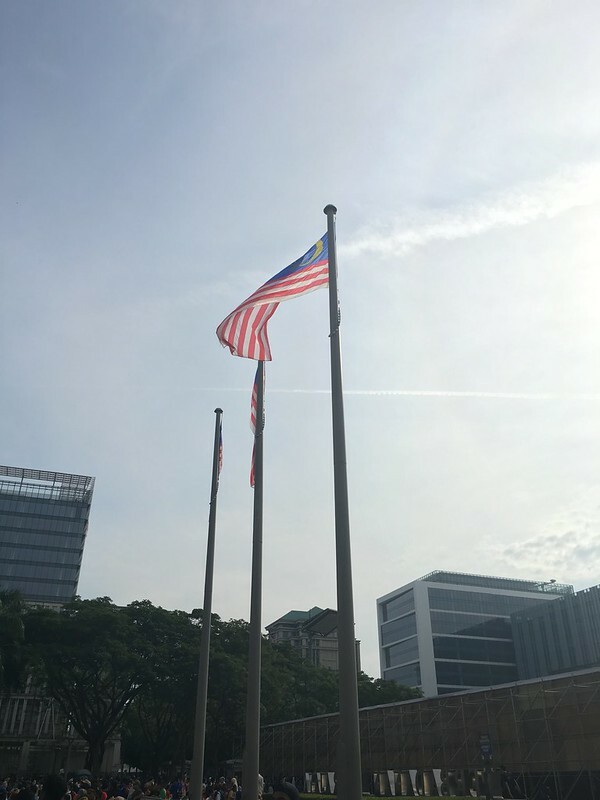 Our national anthem, Negaraku, was sung with utmost patriotism. 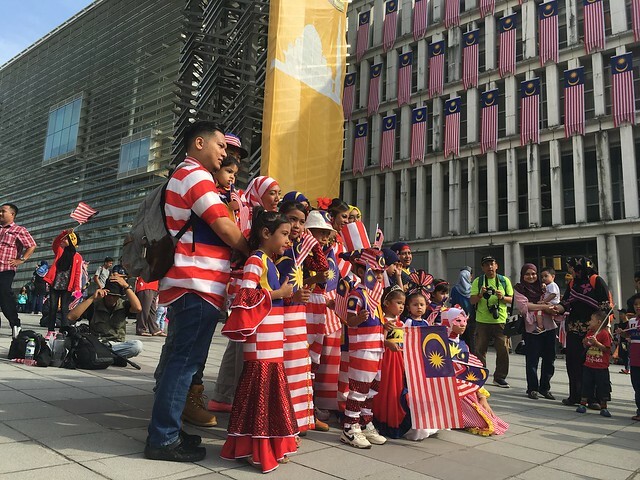 Everyone was into honouring and glorifying the new Malaysia. It was great! 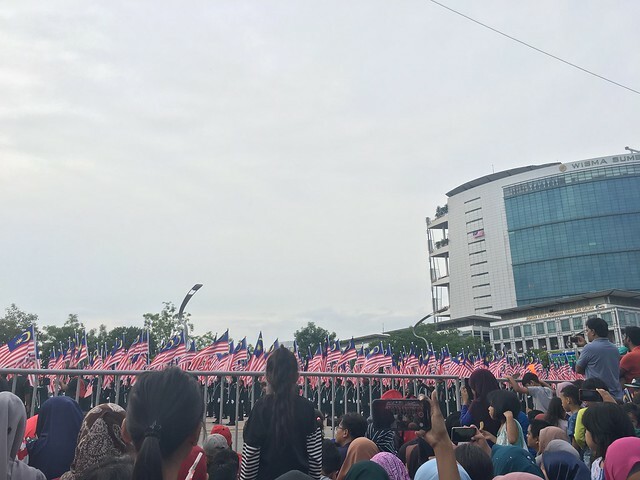 All the celebration aside, there was a slight problem, frustration happened when we could not see clearly about what was happening right in front of us. The people around me were chanting ‘duduk!’ (sit down!) to the inconsiderate people who blocked the views of the people standing behind. 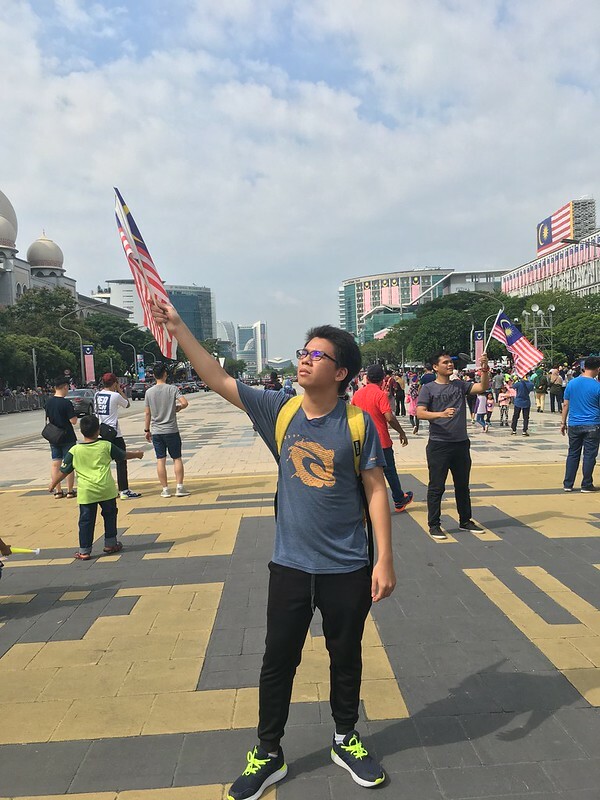 Some of them did not cooperate, typical Malaysians. Alas, we tolerated each other and just continued with the march. Luckily, I got to sit beside a rather beautiful and fair lady, she came with her friends. Haha. Do not get me wrong. I did not ask for her number or whatsoever, I got up after half an hour or so to walk walk. I made the right choice of getting up. The view was astounding, the sunlight was just nice and people were all around. 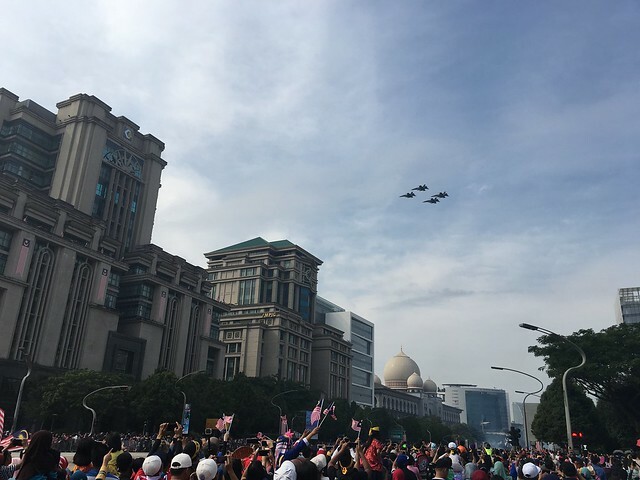 The atmosphere was livened up as the celebration proceeded, we sang patriotic songs whilst waving Jalur Gemilang, and the voices of Malaysian singers were good. There was a disappointment, I could not see the dances and the performances upfront, so I just continued walking around. 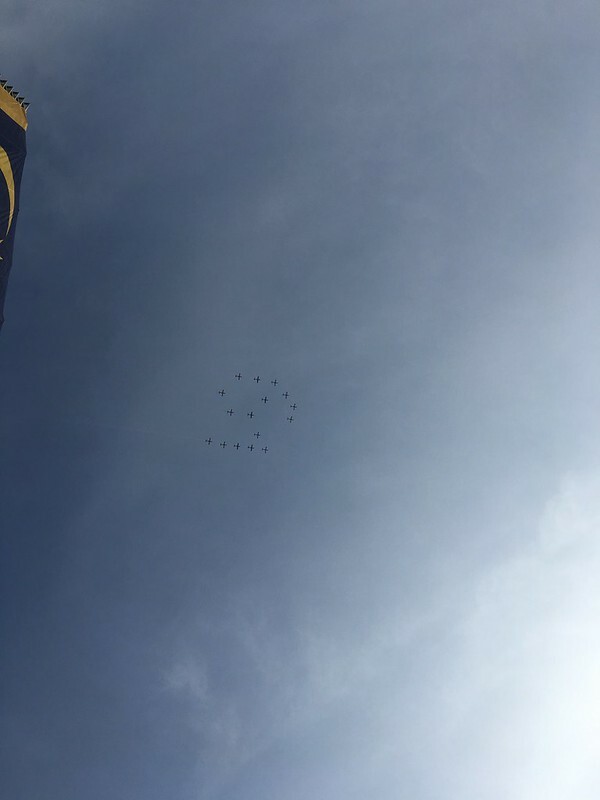 The fighter jets zipped over our heads, arranged in a fashion which showed the number 61, signifying the 61st independence day. People were celebrating all around. It was splendid! The buildings there were aesthetic too, Putrajaya definitely opened my eyes to the structures that Malaysia have. 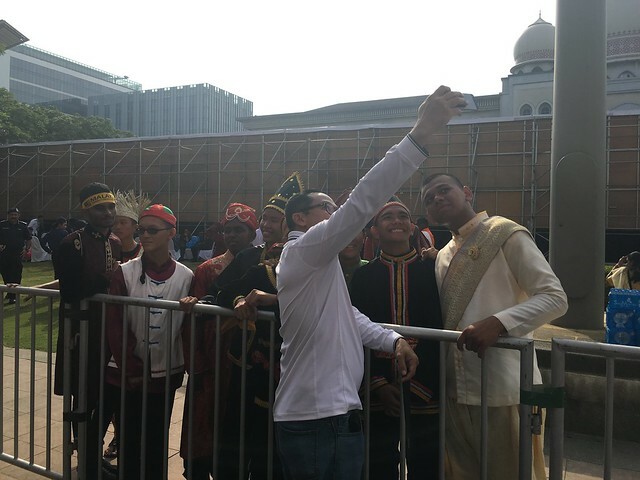 There was an uncle who cloaked himself in Jalur Gemilang, pretty swag! 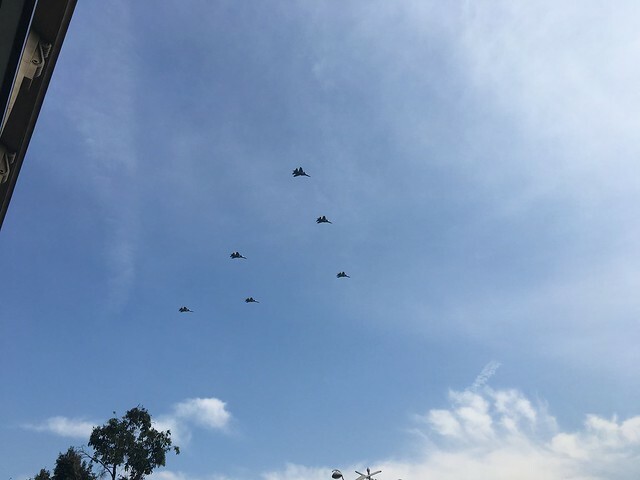 Look at the metallic birds in the skies! 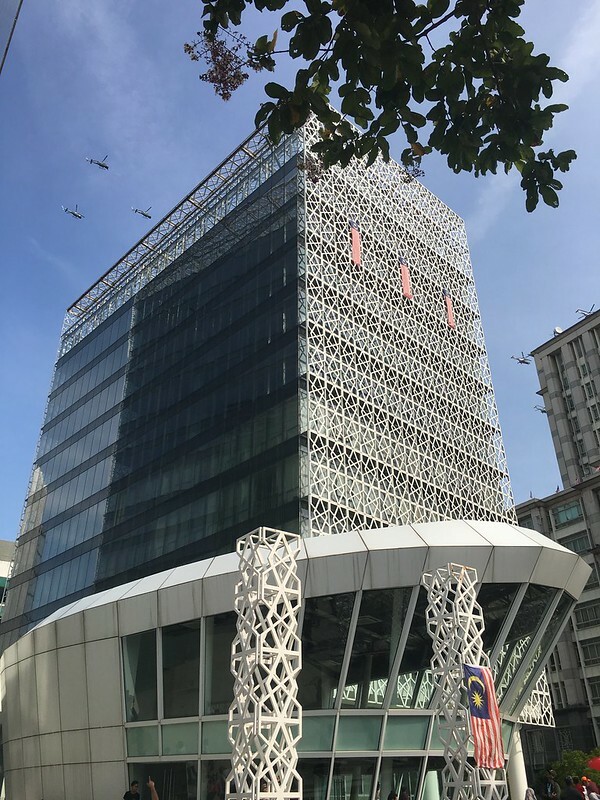 Soaring higher than ever before. Around 1 km later, I found myself where there was space for me to breathe, and I stood there for a while to look see look see. And here is how many people that came for the celebration. It was getting hotter, and I asked someone to help me take this picture of me. Haha. 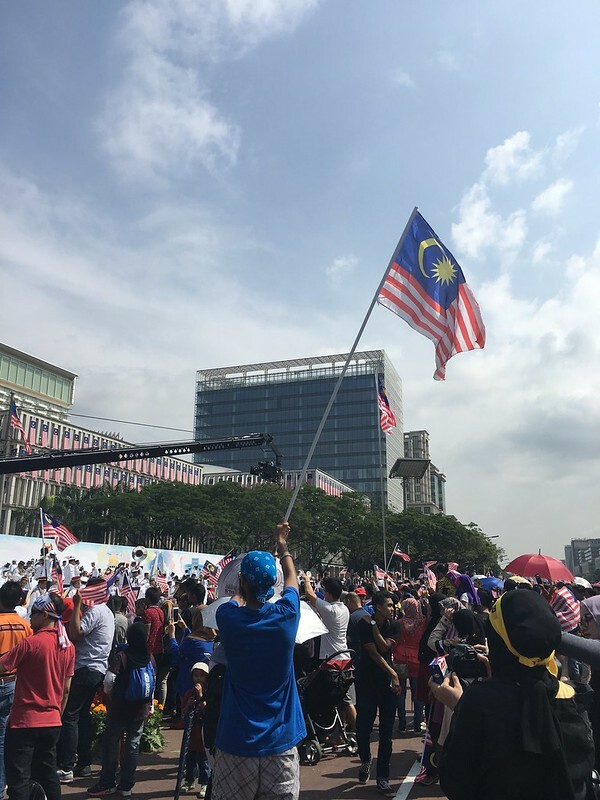 I did not get to see much of the march and the other performances, but I just loved the feeling, the atmosphere that is present- patriotism. 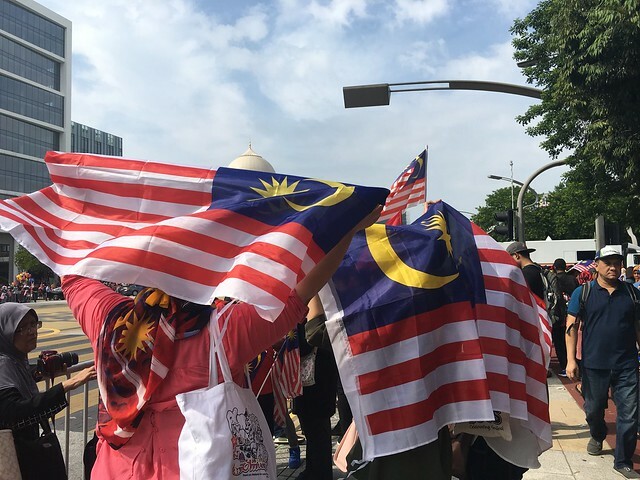 Then, I met this bunch of excited Malaysians waving their Jalur Gemilang proudly and it struck me that this was the best picture that I took on the day which made it to the cover of this post. Thank you for letting me taking your pictures! 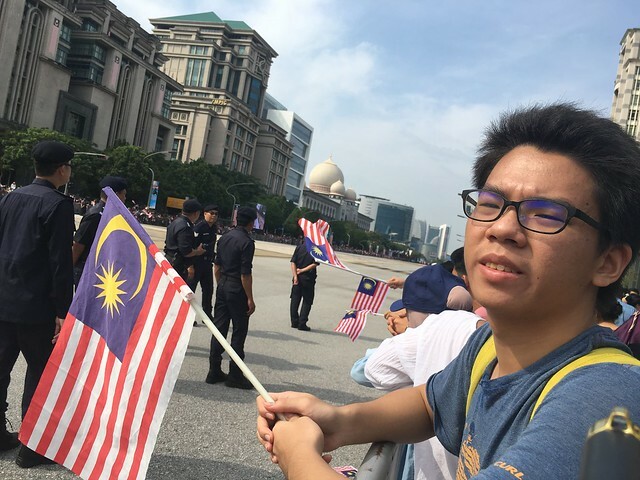 Soon, as the Prime Minister and the Agung left the vicinity, the volunteers opened the gates for us to walk down the streets of Putrajaya, resuming with the celebration. I asked another stranger to help me with this photo. 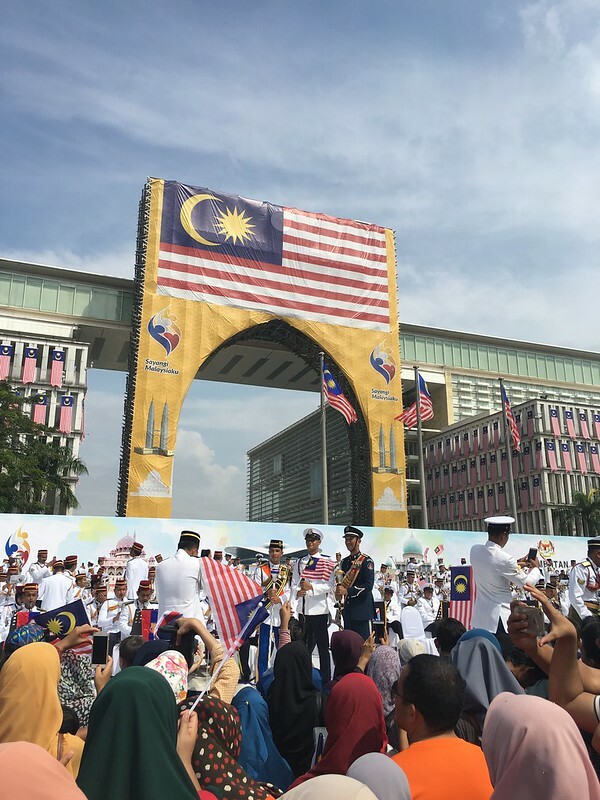 And I proceeded to make my way to the front stage where the band from various government bodies of Malaysia, celebrating with more patriotic songs. The atmosphere was absolutely stunning, everyone was just having great times. The performances by the concerted bands were beyond my expectations. I enjoyed myself too! 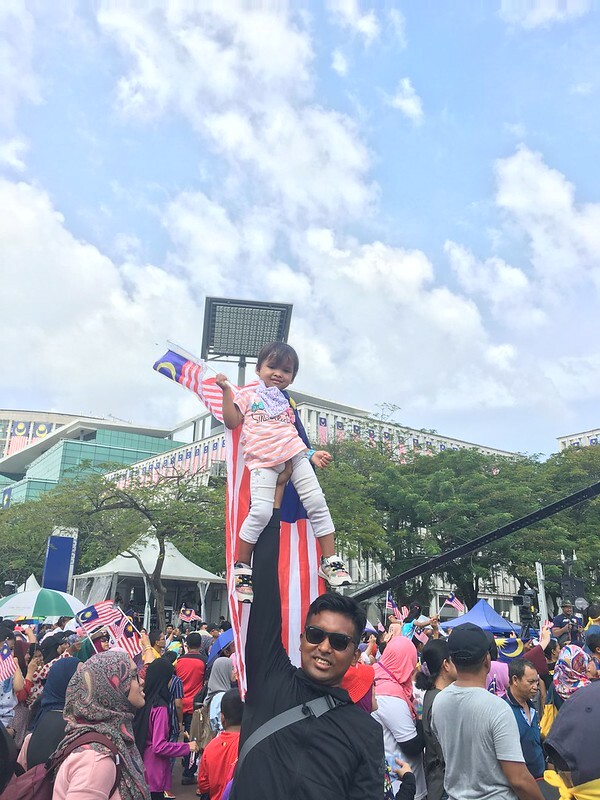 There was this guy, holding up his child high in the sky, waving the Jalur Gemilang, proudly. Just give this guy a medal already! The celebration had to be interrupted a few times in order to make announcements about lost children and lost parents, it was rather funny. 11 a.m. My phone battery was dying, it was sweltering, the celebration was coming to an end. I made my way back. My thoughts about this year’s independence celebration, absolutely out of my imagination. 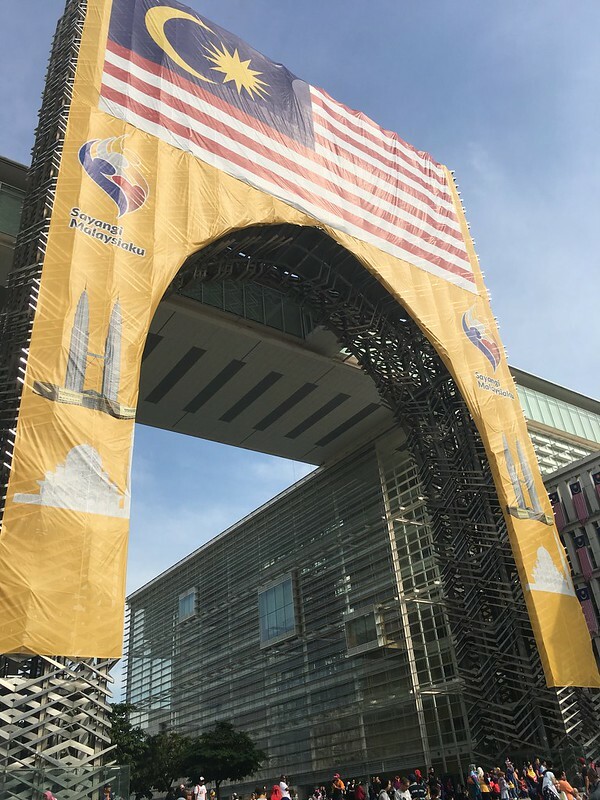 Although there were a lot of performances that I could not see, the atmosphere itself was livened up to where I feel that we were really enjoying, celebrating this new-found hope- the new Malaysia. 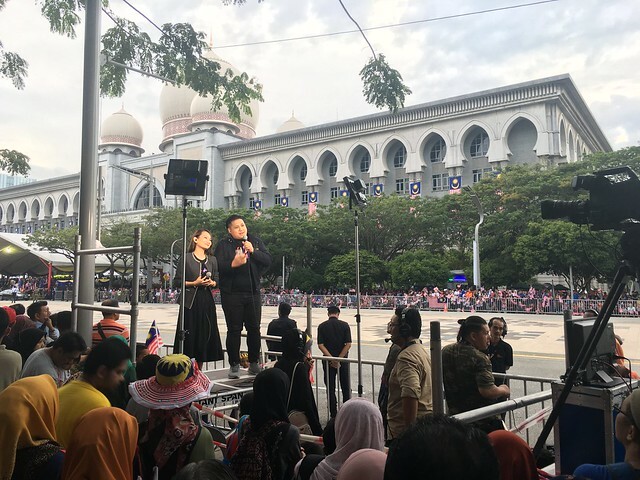 A small suggestion to the people who is going to handle the next independence day celebration, just make sure you guys prepare more live-feed screens so that the other people can enjoy also. 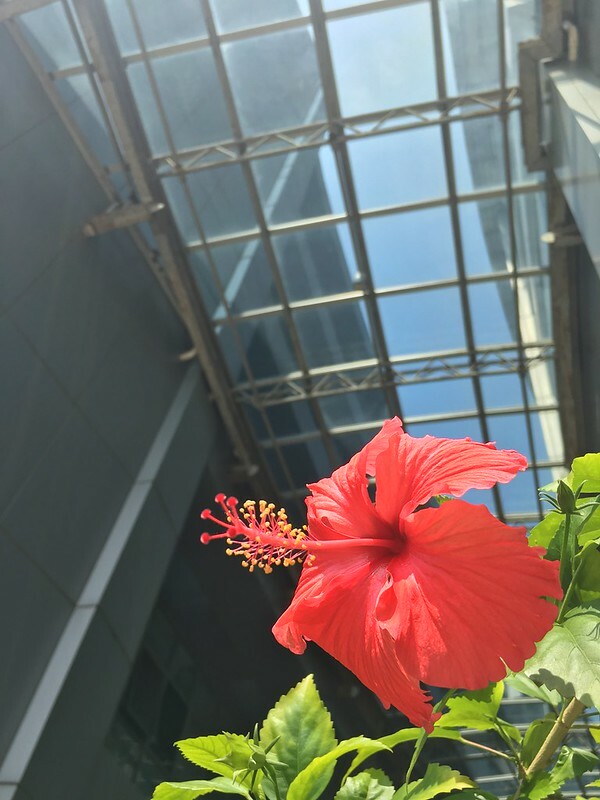 Here is a hibiscus to cap off this wondrous day.